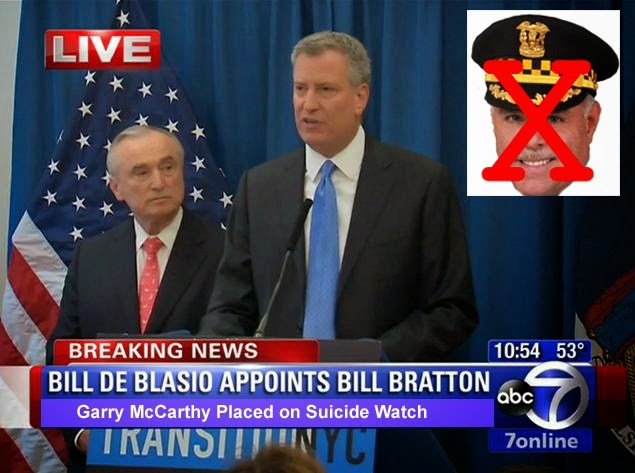 When policy analyst, Artyom Matusov, heard Bratton’s claims, he was sure they were wrong. Although his job as legislative analyst for the city council’s consumer affairs committee did not address criminal justice issues, he had data on the use of force that he thought contradicted Bratton’s figures. His data showed that in 2011 a program called “Stop and Frisk” resulted in 40,880 arrests and officers self-reported the use of force in 19,360 (47.4%) of them. According to Matusov, this “Stop and Frisk” program continued in 2013 as the “Broken Windows” program, and assuming that approximately the same levels of force used in 2011 were used in 2013, the use of force by the NYPD in carrying out “Broken Windows” far exceeded the 8,000 claimed by Commisssioner Bratton. At this point, Matusov had to decide what he would do next, if anything, to bring Bratton’s “misleading” testimony to light. In making this decision, Matusov had an impressive education and plenty of experience to help him sort through the options. He had graduated from a top policy school, Harvard University’s Kennedy School of Government, in 2009 with a Master of Public Policy degree, and he had been working for the NY city council for more than three years. With his education and experience, he likely understood the nature of his conflict with his bosses. Analyst-client conflicts are not rare because the job of a policy analyst is often incompatible with the goals of his or her clients – people with responsibilities to make public policies. Analysts in a legislative policy shop like that in which Matusov was working are typically expected to provide “objective” nonpartisan advice and information to help inform clients on policy issues. However, clients – especially elected officials – operate in political environments, and frequently politics or personal beliefs are more important than objective analysis in determining their position on an issue. Often analyst-client conflicts raise questions of loyalty and ethics that are not easy to answer. In regard to loyalty, analysts may have different beliefs about to whom they owe their primary loyalty. Most analysts are loyal is to their immediate clients, the people who hire them, give them assignments, and evaluate them. These clients – their bosses – determine if the analysts will get rewards such as praise, promotions, and pay raises, and they likely have the power to punish or fire them. Given the powers of their bosses, policy analysts –- most of whom are at-will employees –- do not cross their bosses if they want to be successful within their organizations and keep their jobs. Other analysts may believe their primary loyalty should be to the values of their profession, and they may refuse to do things they are told to do by their bosses because they view such actions as not professionally acceptable. Alternatively, some analysts may feel they should be most loyal to their own personal values and beliefs. These analysts will not be loyal to clients whom they perceive are making bad decisions. A policy analyst has completed a professionally competent and objective policy analysis that recommended a specific policy action. The analyst’s client favors an alternative action because of his or her political beliefs or because political considerations make it preferable. The client tells the analyst that the work should not be made public (i.e., distributed to anyone, including the press, outside the organization). Faced with this situation, analysts loyal to their client would have no problem following their client’s orders. However, analysts with primary loyalty to “the public interest,” “professional values,” or “personal values” might decide that because of their personal sense of ethics they could not withhold the analysis. When in a conflict with their bosses, analysts might turn to a classic book by Albert Hirschman to understand better their alternatives. Using his framework, an analyst who strongly disagrees with the behavior or action of his or her client could consider three main alternatives: The analyst can quit in protest if he or she feels strongly enough about the issue; the analyst can speak publicly about the issue against the wishes of the client; or the analyst can be loyal and do nothing beyond discussing it with the client. These “exit, voice, and loyalty” options have a couple of overlaps. 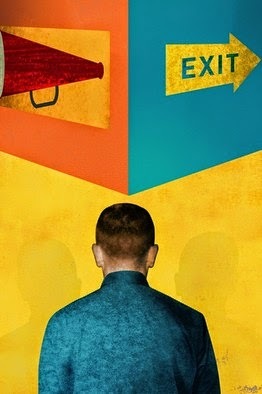 For example, the analyst can keep his/her job, but anonymously leak information (loyalty and voice) or can quit the job and go to the press with information he or she thinks should be made public (exit and voice). These various options were open to Matusov on Tuesday, September 9, after the mayor’s press office had told him to go away. In choosing a course of action, he had to decide to whom he felt his greatest loyalty and, based on that loyalty, what action would be the most ethical. If he were a practical person, he would also have to think about the likely costs and benefits of his various alternatives, especially the likely consequences of doing anything other than keeping quiet. Matusov concedes that he could have gone through “normal channels” instead of dealing directly with the media – something that’s gotten him questioned in the past, although he says he was never told to stop. This time Matusov felt so strongly that he wouldn’t wait. On October 14, a month after his termination, Matusov filed a claim with the comptroller of the New York City alleging that his free speech rights had been violated by the N.Y. city council when he was wrongfully terminated “because of his speech, made as a private citizen on an issue of public concern that was unrelated to his official duties at the Council.” The claim noted that Matusov did not work on the committee before which Bratton had testified, had no involvement in the hearing, and did not regularly speak with member of the media as part of his job. Did Bratton Lie in His Testimony? Matusov’s initial complaint against his dismissal said that he deserved protection as a whistle blower. However, the later legal actions, including the October 14th claim, maintain that he was unconstitutionally fired for exercising freedom of speech. Likely the whistle blowing claim was largely phased out because it would require proving that Bratton had lied in his testimony. An examination of the statements by the police department and by Matusov provide little support for that conclusion; however, Bratton’s statistics were flawed by likely measurement errors and did not tell the complete story of police use of force. As Bratton had stated in his testimony, use-of-force statistics were drawn from self-reported actions in which a firearm, a baton, a Taser, pepper spray, or extraordinary physical force was used; in contrast “use of force” in the “Stop and Frisk” and “Broken Windows” programs was defined, at a minimum, as the use of handcuffs or any physical contact. In his testimony, Bratton had used statistics that have been compiled by the police department over many years. He pointed to another, less subjective, measure that is viewed by many experts as “the best broad measure of the use of force in arrests.” That measure is the charge of resisting arrest, and in 2013, 12,452 arrests in NYC included charges of resisting arrests. That number was about 3.1 percent of all arrests, substantially more than the 2 percent use of force that was self-reported. When Matusov made his decision to go to the press with his accusation against Commissioner Bratton he made a courageous decision that showed his primary loyalty to “the public,” “profession,” and/or “personal values.” No doubt that he did what he thought was ethically correct and what he thought would be best for the city. His action was also in many ways foolhardy and the outcome was predictable. Could there be any doubt that his bosses, from his primary supervisor to the speaker of the City Council, would view his action as, at best, a breach of organizational protocol, and at worst, organizational disloyalty? The wisdom of Matusov’s action is a fertile topic for discussion by practicing and would-be public policy analysts, plus others interested in public policy making. His decision raises not only difficult questions of loyalty and ethics, but also practical questions of what was gained and what was lost by his action. Also, his firing by the NY City Council merits discussion. Was Matusov unfairly and unconstitutionally fired because of his exercise of free speech? What, in fact, are the free-speech rights of policy analysts (and others) working as staff members for legislators, executives and other elected officials? Does a policy analyst working for a legislative or executive office have the unrestricted right to state his or her opinion as a private citizen about matters before the office? All of these questions deserve attention. 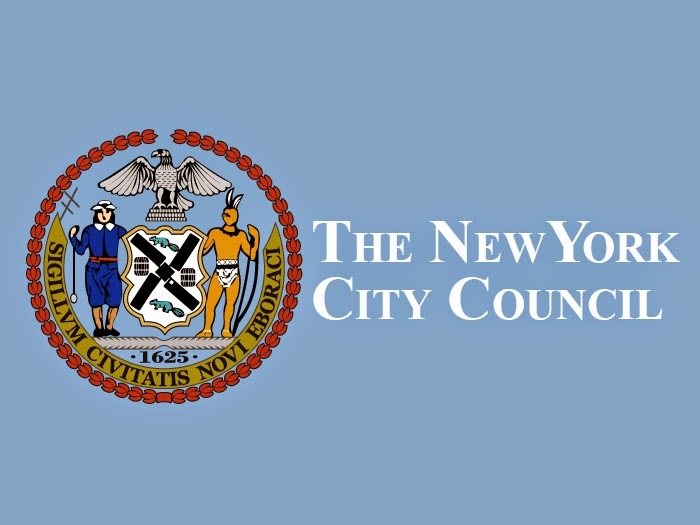 The one about the legality of Matusov’s termination by the city council will be answered during the coming months in New York City by the city controller and the courts. The others will will plague policy analysts far into the future as they wrestle with questions about what constitutes ethical behavior. Albert Hirschman. Exit, Voice, and Loyalty: Responses to Decline in Firms, Organizations, and States. 1970. Katz. September 19 (see note 2). Katz, September 12 (see note 5). Katz, September 19 (see note 2).